There are so many amazing shopping locations found within Disney Springs at Walt Disney World. Just when you think Disney Springs couldn’t add anymore locations, we find out that there are more shopping experiences in store for guests. We have learned about three new shopping venues that are set to make their debut. We have a preview of what guests can expect at the new locations from Disney Parks Blog. Disney Tails: This location will be opening on October 12, 2018 at Marketplace Co-Op. The location will feature amazing items for pets. There will be two existing character collections (Mickey and Minnie Mouse) along with two new character collections (Haunted Mansion and Star Wars). There will be items mostly for dogs, but also a few items for cats. There will be items like leashes, collars, bandannas, toys and more. It is the perfect store for the pet lovers out there. Lovepop: This shopping location will feature a variety of amazing pop-up cards. It is set to debut in Disney Springs at Marketplace Co-Op in mid-October. The cards feature 3D paper pop-ups that make the perfect keepsake, and great gifts for loved ones. 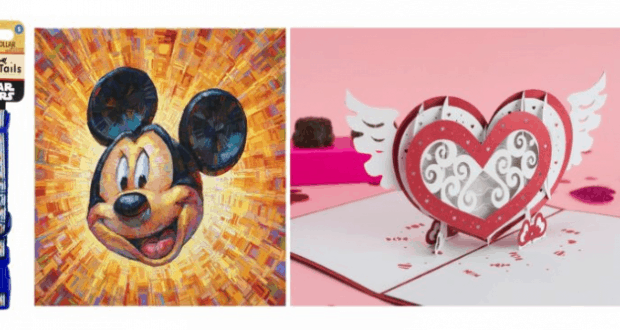 The Art of Disney Presents Greg McCullough: This new art gallery is set to open in Disney Springs on November 3, 2018. It will be located in the space where Little Miss Matched was located previously. The gallery will feature works by Greg McCullough. The location will be open through January 1st, 2019 with Greg McCullough making appearances at the location every day, except for Mondays. There will be changes to interact with him, get artwork signed and possibly see him paint live works of art. In addition to these three new locations, Basin is working on finishing up their store refurbishment. The work is expected to be complete in mid-October. Which of these new shopping locations are you most excited for?